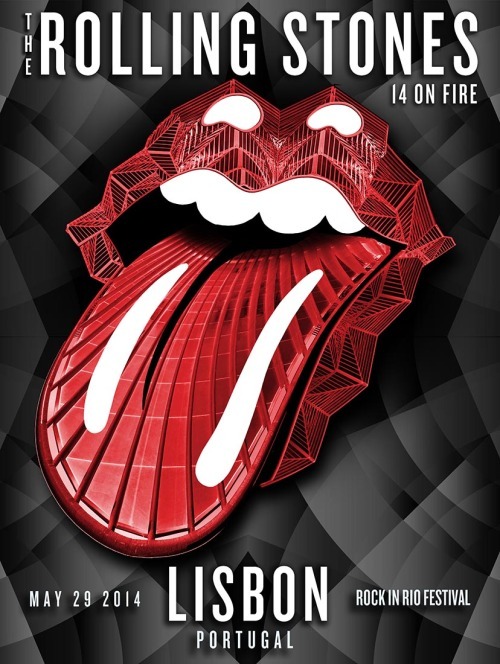 This thread is for live updates and comments regarding The Rolling Stones Lisbon Portugal 29 May 2014 show. Please tell us your pre- and post-show thoughts and comments here. Edited 1 time(s). Last edit at 2014-05-29 13:46 by bv. It can't be true that we can watch this show live? Those who are going to the concert, have fun and be safe. 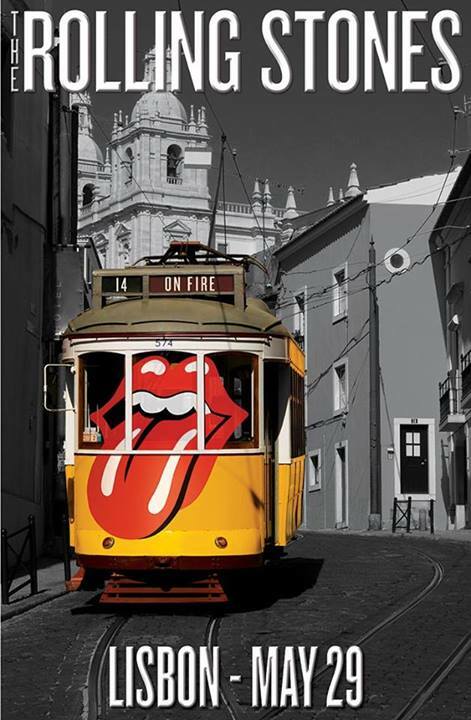 Anyone with any idea as to what time the Stones take the stage tonight? Curious as to what time to start slacking off here at the office and looking for reports. Hope y'all have a great time at the show! Please please please be true!! Two more awesome show specific posters, I wonder if the people attending understand how fortunate they are to get these? If you are there, these designs are sure the want you on your shirt and/or poster. Edited 1 time(s). Last edit at 2014-05-29 15:56 by Max'sKansasCity. That link is "live" now but they have you click on the link in the description which is [doublemusic.eu] and want you to "share this to watch Rock in Rio Live" but I can't see any "like" button...there is another link though [tvfree2.me] with a warning : "Se você estiver usando o addon ad blocker, você deve desativá-lo, pois ele bloqueia mais do que os anúncios e faz com que partes do site e alguns canais não funcionem", i.e. "If you are using ad blocker addon, you should disable it because it blocks more than ads and makes parts of the site and some channels do not work. "...and a "Stream in HD" with an .exe, what a mess. This morning there was another link on that [doublemusic.eu] page and it tried to install a ton of crapware on my computer. Apparently, at 23.45 local time according to Rock in Rio official site. Gary Clark Jr. at 22.00. That is really to cool to know the origins and what a great design. Most likely a hoax - the way the whole thing is set up: youtube video going to a dubious link, asking you to share, etc. Forget it. great, great design, the building and the poster! Hoping for a good one for the paris show. I was afraid it was not true. You're right, I've reported that YT link. Wow...it's counting down right now, 42 minutes until the stream starts. Thanks for the info Ironbelly. Hate to hear that your plans are getting messed up by your boss. Even at the back of the show you'll still be a whole lot closer than I will be here in the USA. If my boss knew what was going on she'd be happy. Due to the late start, I'll already be off "company time" by the time the show starts. here's hoping that a path to the front opens up the moment you walk in! Have a great time tonight! Where are you seeing a countdown exactly? That YT page is just an "ad" for a link that gets you to download crapware. Where? Can't see anything counting. Edited 1 time(s). Last edit at 2014-05-29 16:43 by MAF. No sign of any stream at the moment. Edited 1 time(s). Last edit at 2014-05-29 16:58 by EasterMan. Edited 3 time(s). Last edit at 2014-05-29 17:09 by Powerage. Countdown has stopped, message says "Standby, starting soon"
Strange though that they have a separate channel just for live streaming... Seems a little bit suspicious to me, but I guess we'll just have to wait and see. Clearly not. As other have pointed out, the video promotes another site. Were it the official Rock in Rio stream, there would simply be a video. This video link is blocked in Germany. Any other chance to see it? Via US-proxy server? 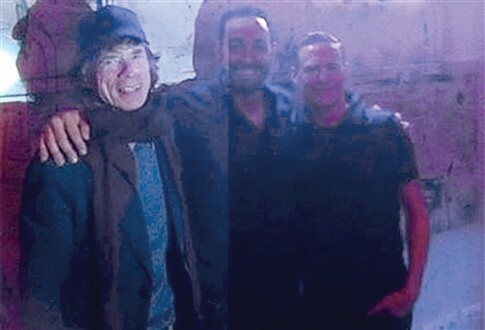 Is that Bryan Adams on the right? You have do do a registration first! This video link is blocked in Germany. Any other chance to see it? With a free anonymous proxy server from Portugal ..... at least no blocking.